Nkuli Mkhize, nee Nkonyane, is a Director of the Mteule Group of companies with interests in travel, financial services and investment banking. Nkuli is also the author of the published book entitled The Truth About Network Marketing Revealed and is an active promoter of the Network Marketing Business Model as the services and products distribution model of the future. 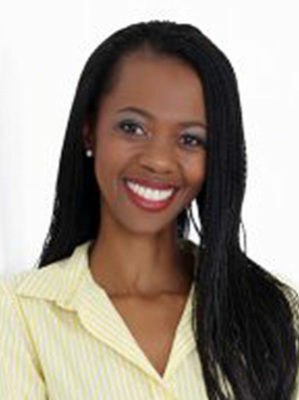 Prior to starting her own company in 2013, Nkuli held several senior management and professional positions at the Development Bank of Southern Africa (DBSA) including Head of Investment Structuring – Jobs Fund, Project Development Manager – Investment Banking, Senior Investment Officer – Investment Banking, & Business Development Manager – InvestmentBanking. She was previously an Executive Manager – Trade & Investment Promotion, as well as Chief Operations Officer at Wesgro, which is the Provincial Economic Development for the Western Cape, until she moved to the DBSA in 2006. Prior to this, she served as the Economic Consul and Foreign Economic Representative at the South African Consulate in Dubai. She also worked at the South African Embassy in Tel Aviv, where she held the same position. She spent several years at Investment South Africa, the then–national agency responsible for promoting foreign direct investment into South Africa. She started as Executive Assistant to the CEO in 1999, and was soon promoted to Investment Manager for the Automotive and Metals sector, until she was transferred to Tel Aviv in 2001. Nkuli began her career at Sedgewick Noble Lowndes South Africa (now Alexander Forbes) soon after she graduated for her first degree in 1997. She attended Rhodes High School in Cape Town and holds a Bachelor’s degree in Social Sciences and Humanities from the University of Cape Town, as well as a Master’s degree in Development Finance from the University of Stellenbosch. Nkuli is married with two children and lives in Johannesburg. She is a Fellow of the fourth class of the Africa Leadership Initiative–South Africa and a member of the Aspen Global Leadership Network.